PrimaLoft is a synthetic alternative to down bedding, ideal for people allergic or sensitive to down or feathers. 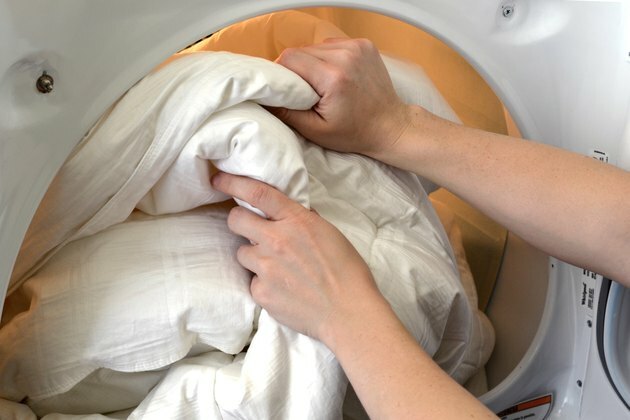 PrimaLoft is completely machine washable and dryable, unlike some down-filled comforters and duvets,so caring for it is similar to washing any other synthetic bedding. Place the PrimaLoft bedding into the washing machine. Add an appropriate amount of gentle laundry detergent for the size of the wash load. 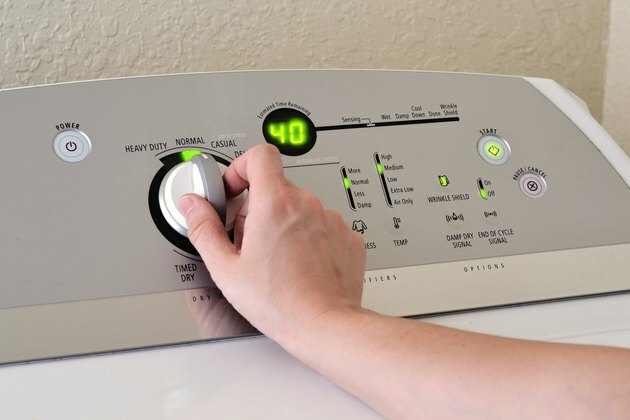 Set the wash cycle temperature to warm and start the washing machine. Allow the washing machine to progress through the final spin cycle. 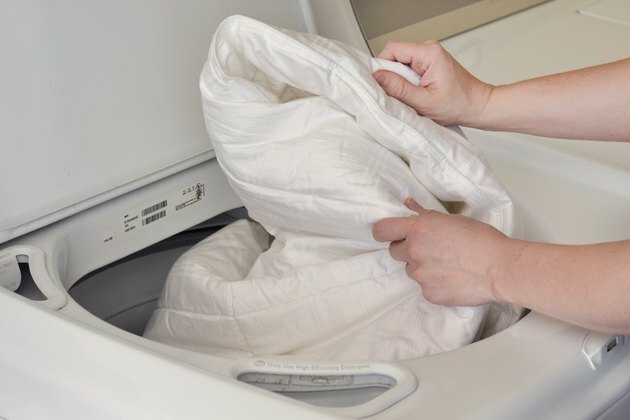 Remove the PrimaLoft bedding from the washing machine and shake out the bedding gently to remove as many wrinkles created from the spin cycle as possible. Place the PrimaLoft bedding in the dryer. Add two new tennis balls to the dryer along with the bedding and close the dryer door. Set the dryer to medium-heat cycle and start the dryer. Check the progress of the dryer as it dries the bedding and remove the bedding promptly when it is completely dry. 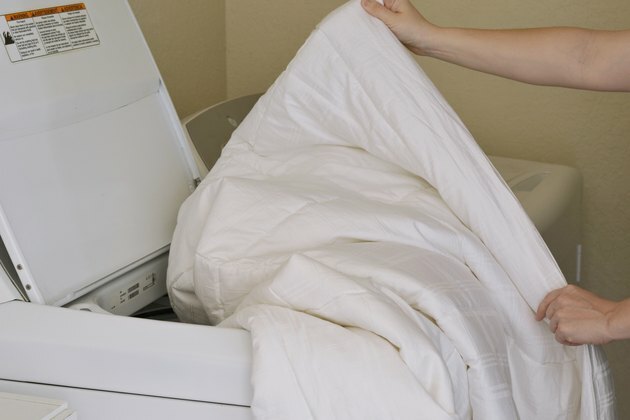 Shake out the bedding lightly to remove any superficial wrinkles and place the bedding back on the bed. 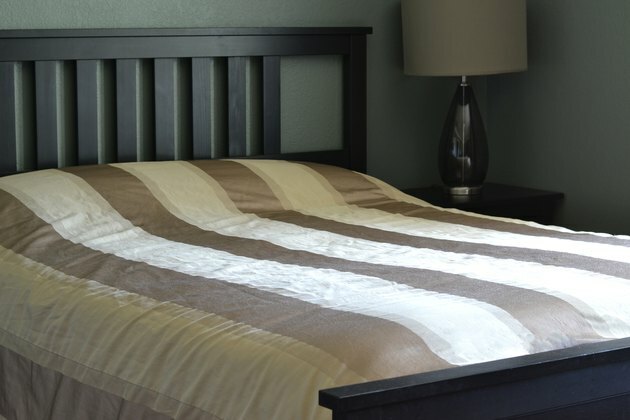 What Is a Coverlet for a Bed?